Discover historic Ashland Mansion, the famous home to "The Great Compromiser," Henry Clay. Representing Kentucky in the United States Senate and House of Representatives, as well as his tenure as Secretary of State under President John Quincy Adams, Henry Clay played a pivotal role in United States politics and history for close to half a century. Enjoy a narrated one hour tour of Ashland, stepping back in time to the 18th century as you explore the 18-room Federate-style mansion built by the former political leader. End your visit with an optional self-guided tour of the Gardens and Grounds, Civil War Monument, and Henry Clay Exhibit. Tour this historic estate on a family-friendly excursion located close to downtown Lexington; guarantee admission to this popular site by booking ahead. 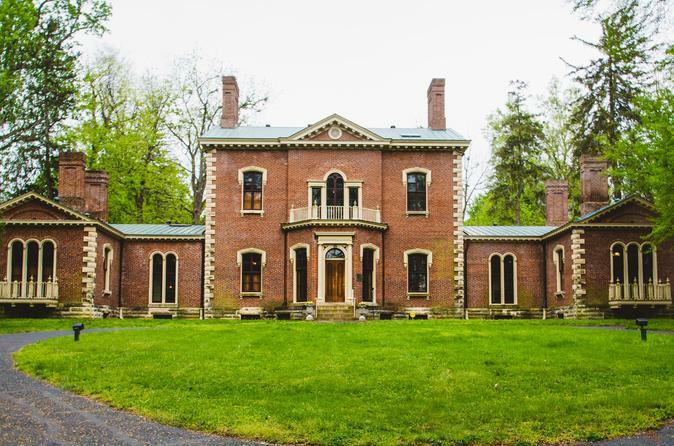 Make your way to Ashland: The Henry Clay Estate, located in downtown Lexington, Kentucky. Walk through the meticulously preserved rooms of this 18-room Federate-styled mansion, complete with an impressive display of original furnishings, artwork and statuary. Ashland is a must-see for anyone interested in Kentucky history, United States history, Political history, the Civil War, and architecture. Enter the front door and our knowledgeable docents will welcome you inside for a narrated journey through this beautiful estate. Then, take an optional self-guided tour of the gardens and grounds, Civil War monument and Henry Clay Exhibit. Immerse yourself in the history of Henry Clay's Ashland and conclude with a stop at the Museum Store or enjoy a bite to eat at The Ginkgo Tree Café. At the end of your visit, make your way back to downtown Lexington and enjoy other must-see sites.